If you find that your iTunes library or other music libraries are in a mess caused by hundreds of duplicate or incomplete songs that you purchased from music stores or got from other ways, you may need music organizer software to clean and sort your massive music library, which would be a time-consuming and an exhausting process if you did it manually. Therefore, the post will introduce you how to organize your music library safely and quickly by deleting duplicate songs, adding album artworks, fixing music tags manually or automatically. Also there are five music organizer software recommended to help you organize your music library. 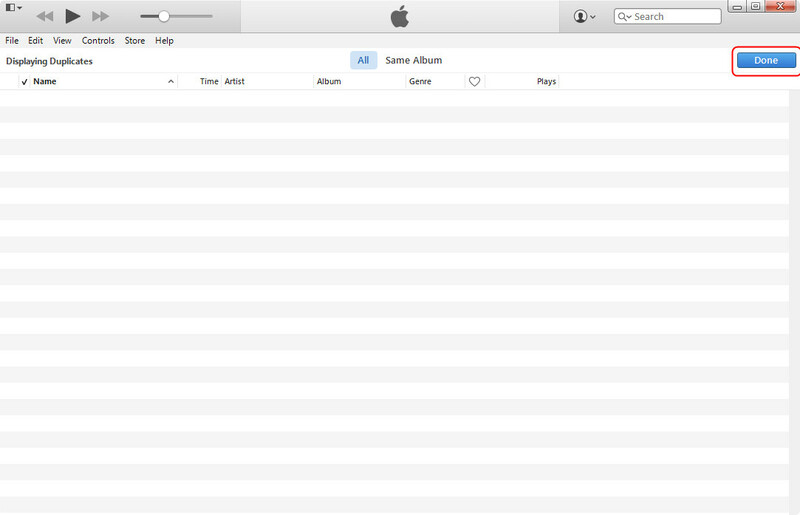 Of course, you could use the built-in feature of iTunes in finding duplicate items and remove them. But the task can be daunting. It may take a few hours to a few days before the entire process completes if you have too many duplicates in your iTunes. Besides, iTunes has no ability to help you delete duplicate songs in other music libraries. 1. 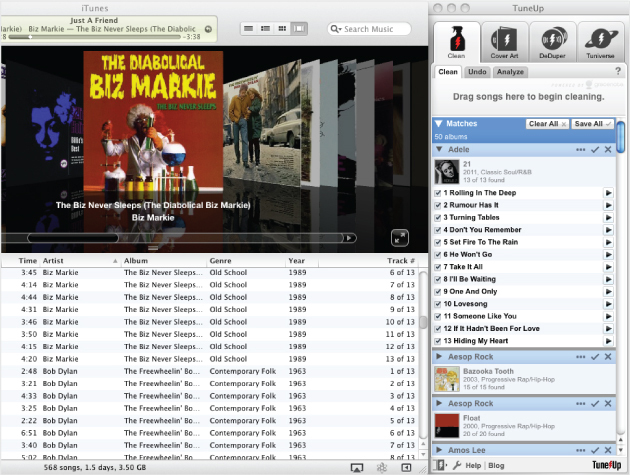 Open iTunes menu bar, then choose View > Music, and you will see “Show Duplicates Items” option. 2. Click “Show Duplicates Items” option, all duplicate songs will be shown. Hold the “Ctrl” key to choose the duplicate songs you want to remove. Then right-click to choose “Delete” option. 3. When you’re done deleting duplicates from your library, click “Done” button. 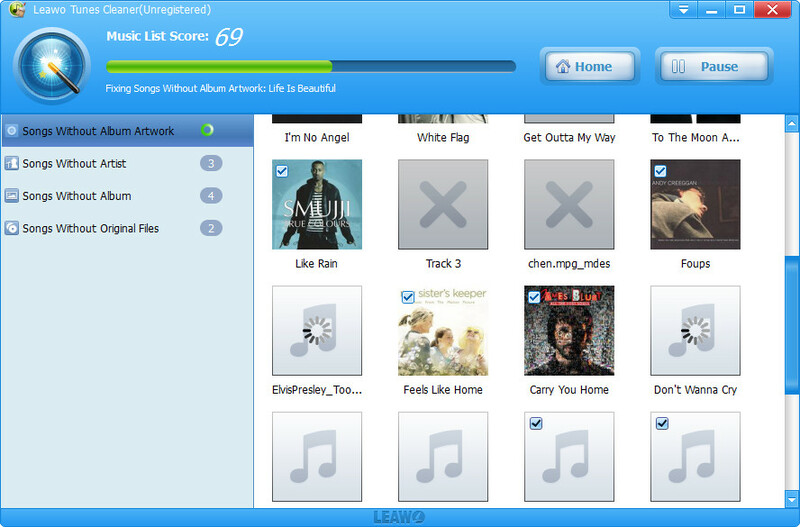 If you still have issues or have a massive music library in iTunes or other music folders that requires a more powerful and less time-consuming option, the third-party software like Leawo Tunes Cleaner can help you. It can not only automatically clean up duplicate songs in iTunes, but also automatically delete duplicate songs in other music folders. If you want to automatically remove duplicates in iTunes, the automatic duplicate remover might have the answer for you. 1. 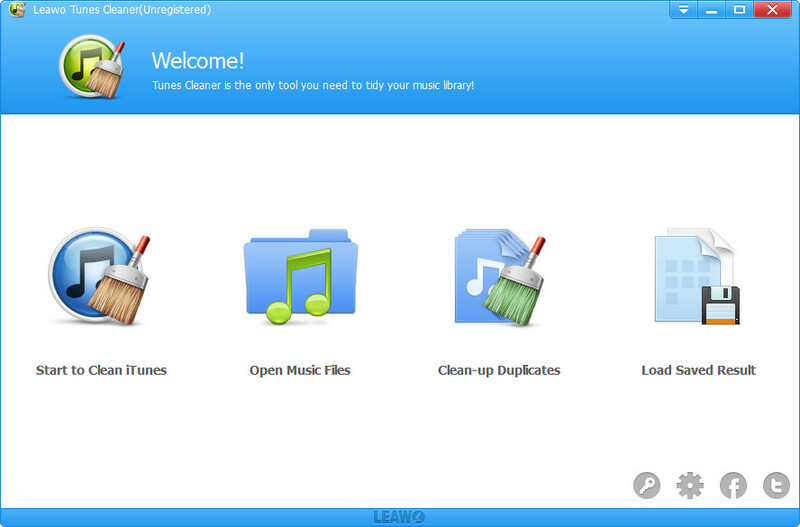 After kicking off Leawo Tunes Cleaner, click the “Clean-up Duplicate” entry. The program provides 2 duplicate scanning modes: Quick Scan mode and Deep Scan mode. 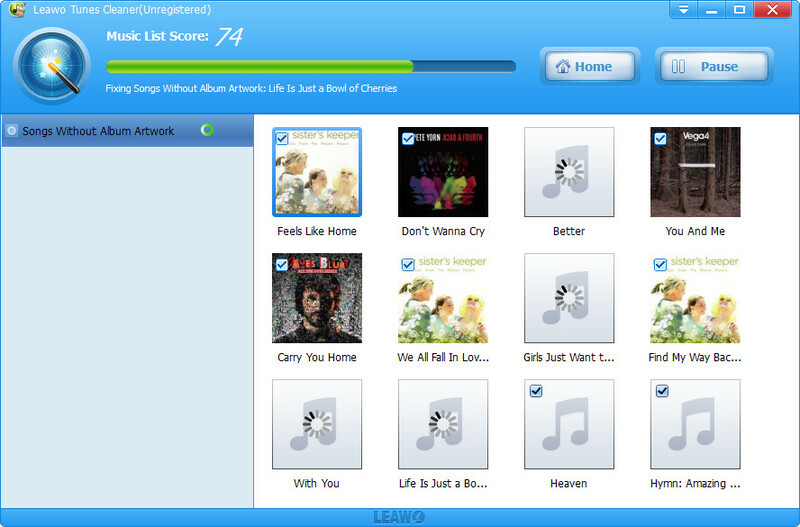 Select one of them to scan duplicate songs. 2. You could delete duplicates in iTunes music library by directly clicking “Scan iTunes” button or click “Add” button to load music files for duplicates removing. 3. After loading source music files, click the “Scan” button on the upper-right corner to start scanning duplicates. The program would display all duplicates clearly and suggest what to remove. You could decide which duplicates to delete by checking them and then click the “Remove” button to remove duplicate songs. Open iTunes Preferences(Mac: Choose iTunes > Preferences.Windows: Choose Edit > Preferences. 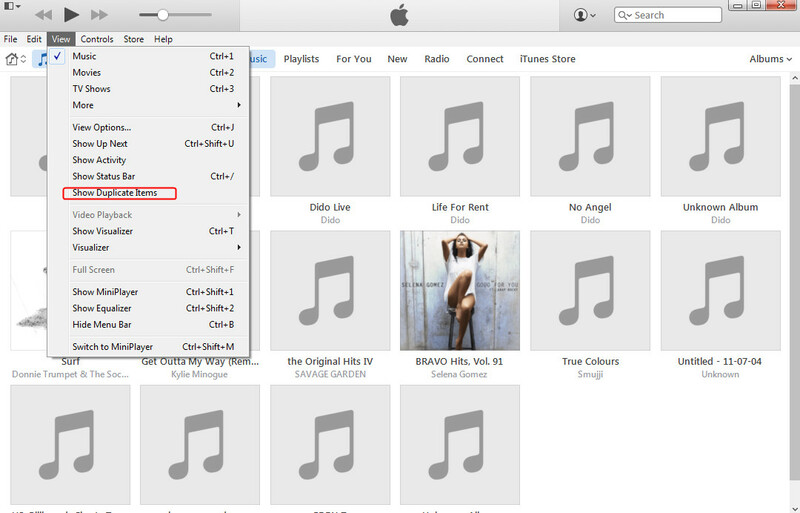 )Then click “Store” button, and you could select the “Automatically download album artwork” check-box. Actually, to add artwork to songs, you could also directly right-click target song and then select “Get Album Artwork” option (in iTunes 11 and later versions). 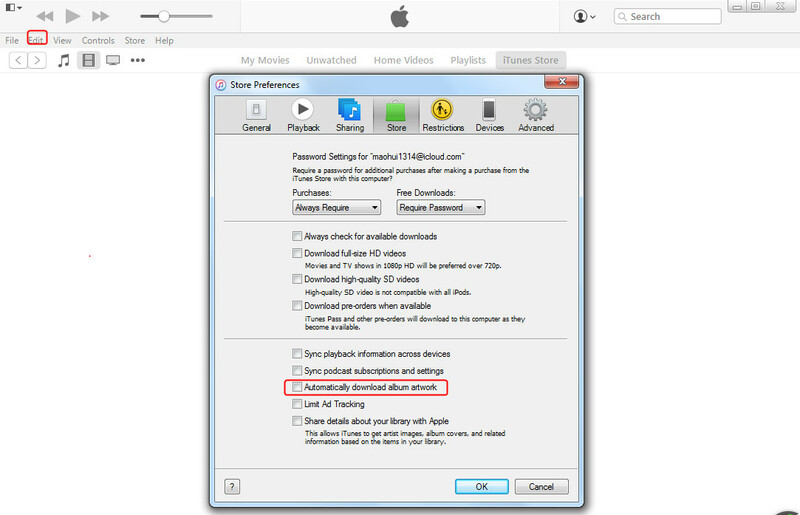 1.Click “Start to Clean iTunes” option or “Open Music Files” option on the main program interface. 2.This iTunes album artwork finder software would automatically scan your iTunes music files and then show all song files that get incomplete song tags in “Songs Without Album Artwork” category. Click the “Fix All” button to start fixing all music files in problem. 3.After automatic fixing, the program would display Unrecognizable Songs if there exist. You could check the music file and then click the “Edit” icon to invoke the editor, on which you could manually drag album artwork to selected music files and edit other song tags like album, artist, etc. Finally, click “Apply” button to apply the fixed results to iTunes music library. Then, all added album artworks would be saved to your iTunes music library. If you’re using the trial version, you couldn’t apply the fixed results to your iTunes. 1. 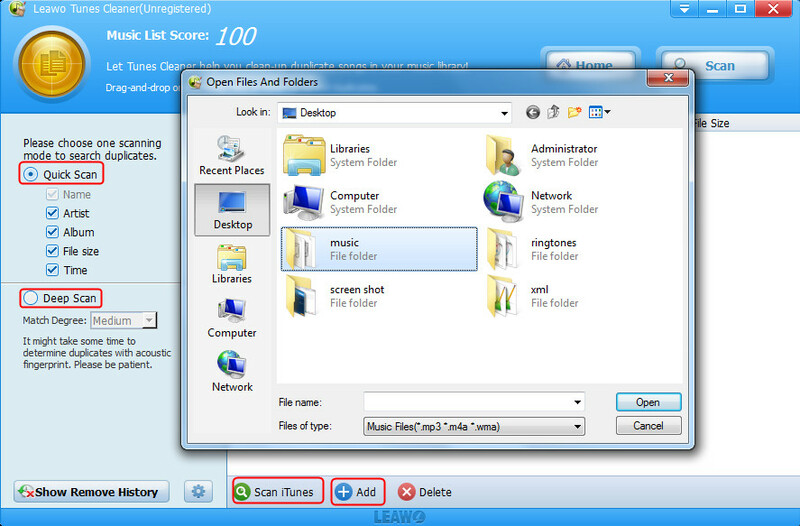 Run Leawo Tunes Cleaner, and choose Open Music Files or “Start to Clean iTunes”. 2. The software scans the songs automatically. You need to click “Fix All” button at the upper right corner. 3. The program fixes all music tags and provides a preview. Click “Apply” button at the upper right corner to finish the task. Method 2. How to add music tags manually. 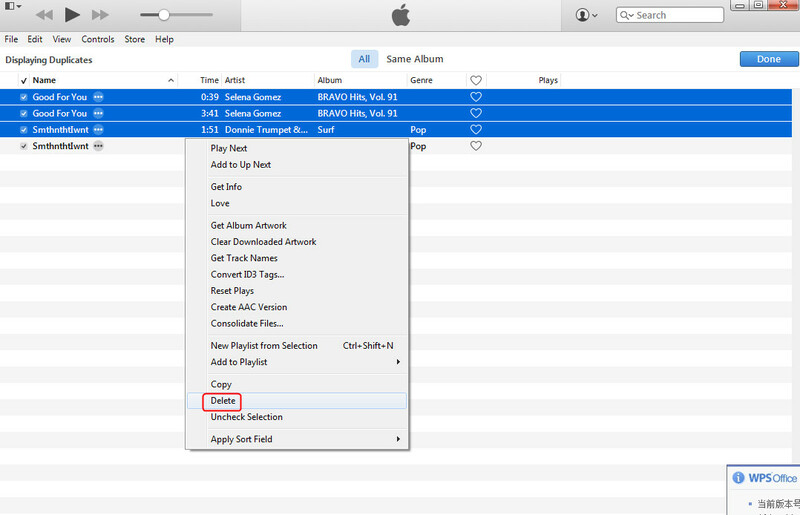 Open iTunes music library and choose the songs that you want to add tags, then right-click to choose “Get Info” option. In the “Get Info” option, you could manually edit music tags as you want. 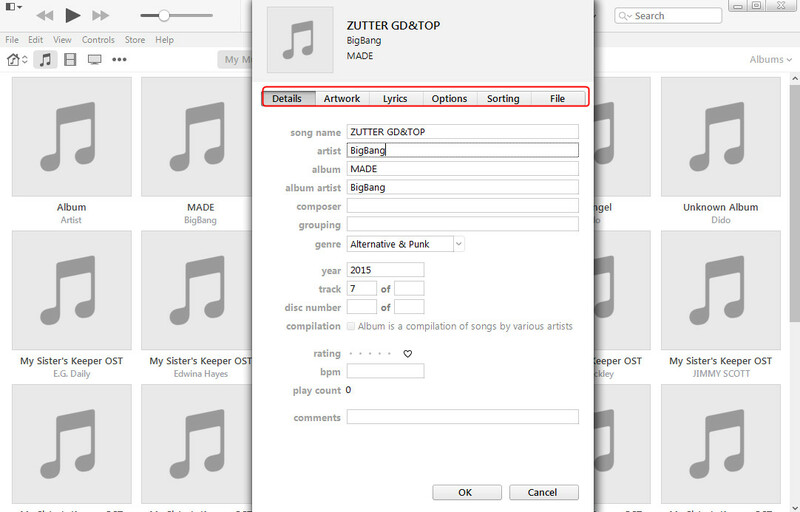 After the program fixes all music tags for you in the method 1, if you still want to edit music tags by yourself, you could fix music tags manually, including: artist, album, album cover, title, etc. You can tell from the name of this program that Tunes Cleaner is used for cleaning and organizing your iTunes music library. 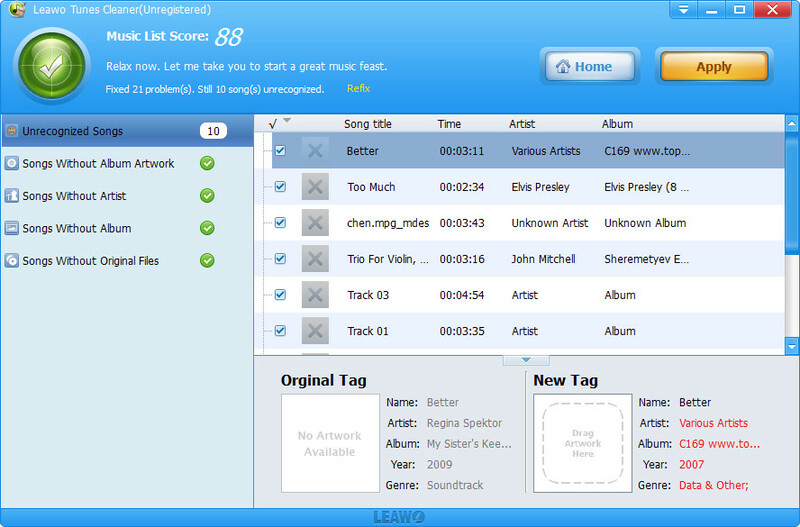 The program enables people to clean up all the music duplicates in iTunes, fix music tags of the songs in iTunes library, and fix the music tags on computer. 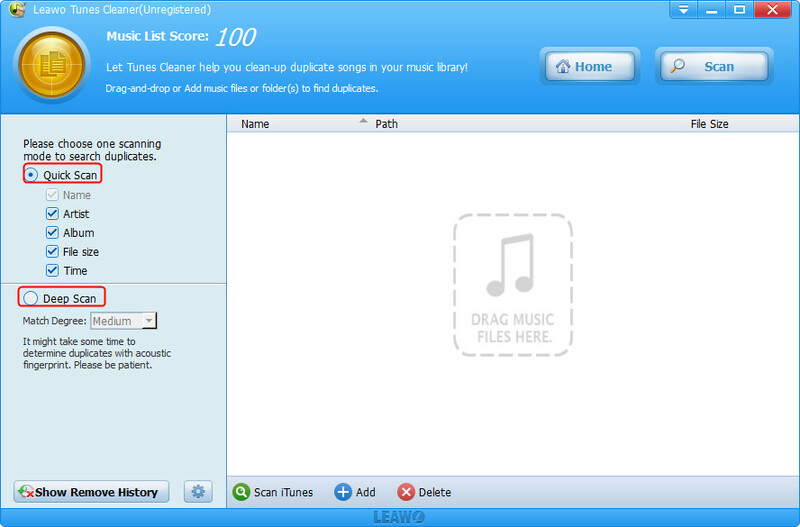 Users only need to add songs from computer, and the program will scan the song and figure out whether the song lacks any information. If yes, it will display the lacked information with scarlet words. 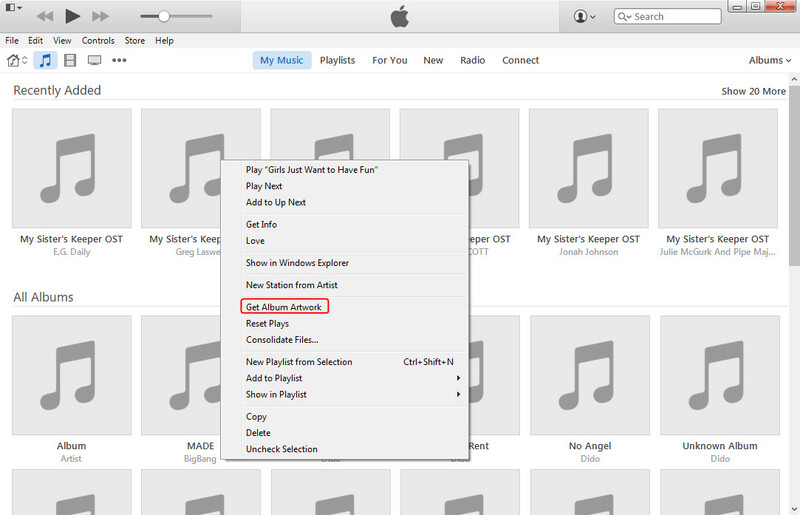 Detect and delete duplicate songs in iTunes with one-click. Clean up iTunes and music library with ease. Download music album art for iTunes and other music files. Download and add music tags like artist, album, title, etc. Support manual editing to edit music tags. TuneUp is another well-known iTunes music organizer software, supporting quick duplicates removal, missing info (such as song titles, artists, etc.) fixing and album cover retrieving. Compared to later released programs, TuneUp seems to be a little pricely and less automatic. It does save a lot of time, but you still have to finish some operations to utterly clean up your iTunes library, such as manual dragging files to this program from iTunes. Manage, organize and totally transform your digital music collection. Add color to your digital music experience by filling in missing album cover art. Clean and organize before you sync for a better cloud experience. Wondershare TunesGo enables you to perform many tasks that can efficiently organize your music library,and also it’s a good music organizer for android, some of which cannot be achieved even by using iTunes. The application is handy and lets you transfer the data among your Apple devices by completely bypassing iTunes in the process. Transfer your iTunes media files without limits. 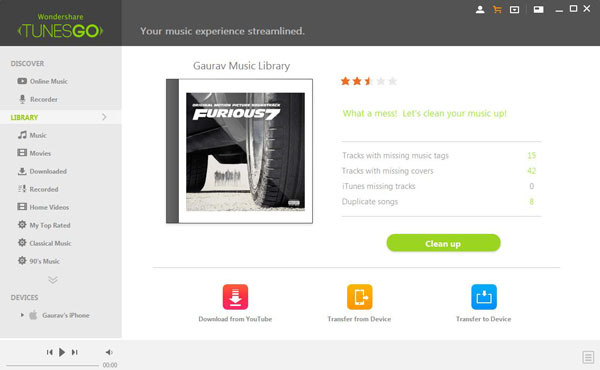 Automatically analyzes and cleans up your music library with one click. Manually tag your music, change cover art. Delete duplicates, and remove missing/broken tracks. Backup and restore your iTunes Library. 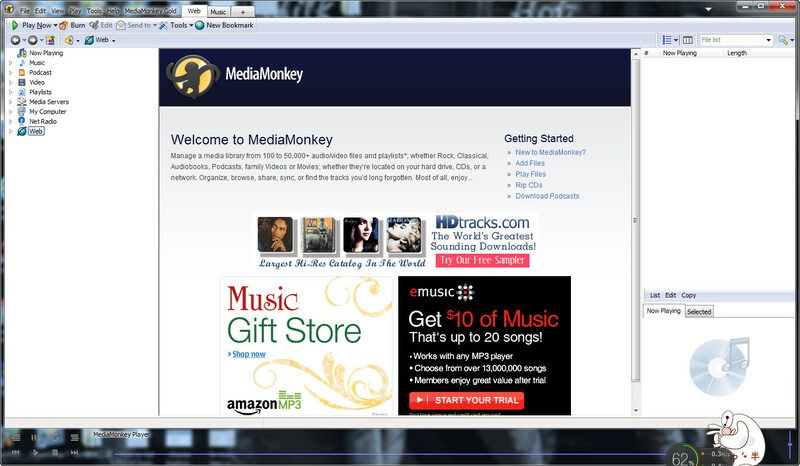 MediaMonkey is one of the best music organizer software to meet your needs. The application is a fully integrated music player, organizer, and encoder that enables you to play audio files of almost all popular audio file formats. The developers regularly upgrade the software for its proper functionality and sophistication. The latest version is 4.1.6 and has more than 40 upgraded features including better synchronization with Android devices. Fix Tags with automatic lookup and tagging of album art, lyrics and other information. Automatically organize and rename music / video files. 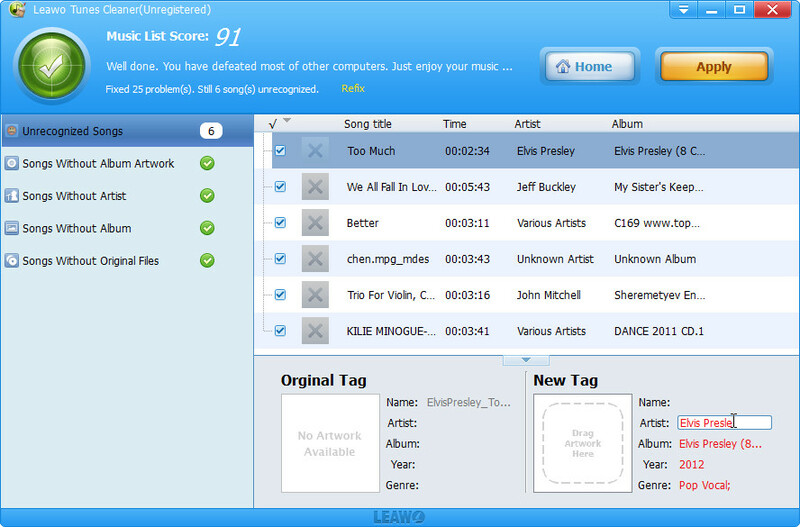 Create and manage playlists with ease. Sync with most Android, iPhone, iPod, iPad and other portable Audio/Video Devices. Convert audio / video files from almost any audio / video formats. 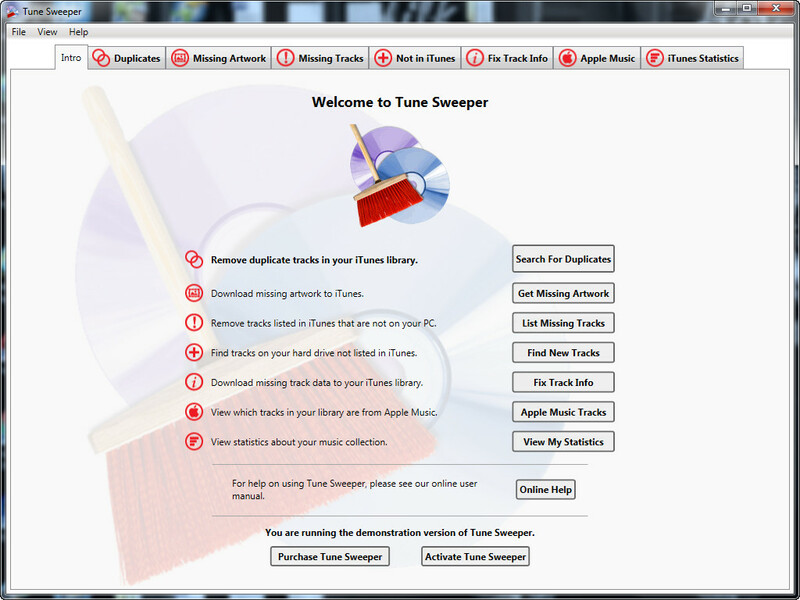 Tunes Sweeper is the essential iTunes music organizer software which enables you to find and remove duplicate tracks in your iTunes library. Tune Sweeper scans iTunes for duplicate tracks based on your preferred search criteria, such as matching track names, artist, and album. It will then choose one version to keep and the unwanted files will be marked for removal. All you need do then is simply confirm the files you wish to keep, following which all your unwanted duplicates will be magically removed and your music library cleaned. Optionally, tracks removed from iTunes are backed up for safe keeping.